Active House. Photo courtesy of VELUX. 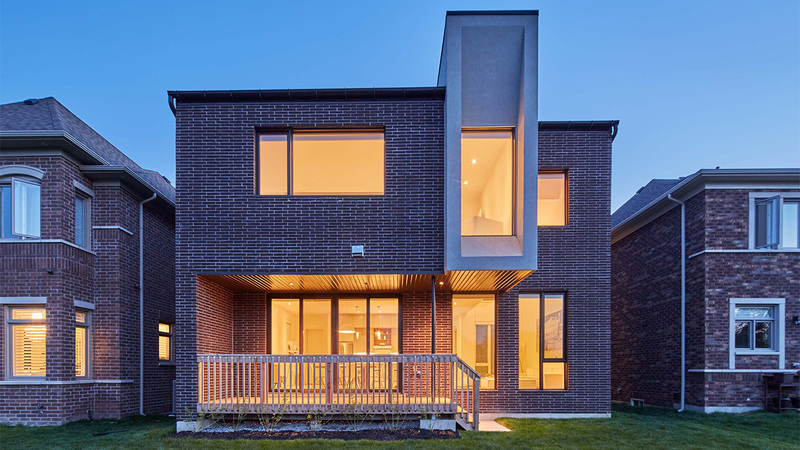 The very first certified Active House in the world has been unveiled in Toronto. 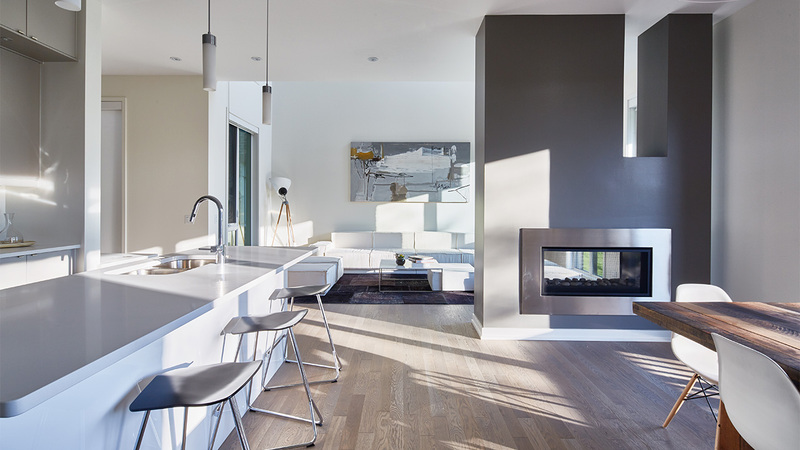 More than just bricks and mortar, Active House is a modern design phenomenon – a fully integrated residential home created to deliver energy efficiency, low environmental impact and optimized climate control and ventilation via active systems designed to produce a home of comfort and well-being. The project was designed by Toronto-based architecture firm superkül. Building Knowledge Canada Inc., Brockport Home Systems Ltd., Danish Technical Institute and VELUX A/S Building Industry (which in addition to being a manufacturer, operates a program to encourage research in daylighting) also contributed. Great Gulf built the house with a mission to emphasize the lifestyle benefits of the Active House method (comfort, energy, environment, sustainability and lifestyle), and position it as a building philosophy of the future. The method creates a healthier and more comfortable life, contributes positively to the energy balance of the building and has a positive impact on the environment. The light-filled double-height C-shaped courtyard forms an architectural “anchor” for the entire home. When the windows are open, the home’s overall design facilitates cross-breezes and natural ventilation to minimize the use of air conditioning. 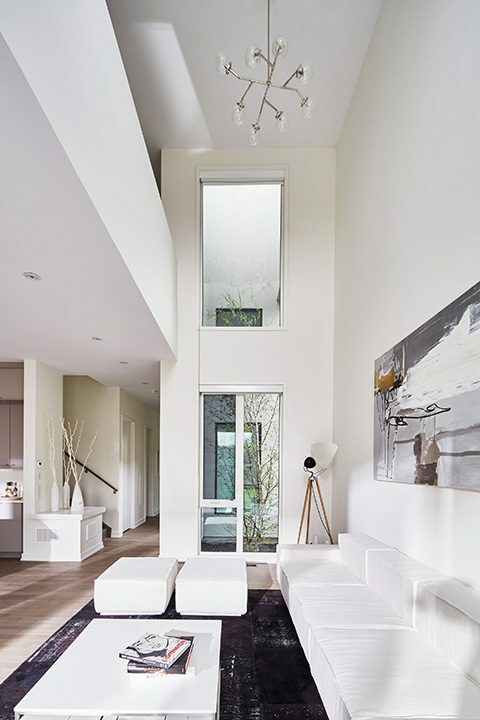 The ground-floor living room, dining area and kitchen are laid out as an open concept plan not to obstruct daylight. Double-height spaces vertically connect upstairs areas such as the family room on the second floor. This strategy of maintaining strong visual connections also guarantees clear exterior views from almost every room in the house without sacrificing privacy. The house is also equipped with the Tesla Powerwall, a rechargeable lithium-ion battery manufactured by Tesla for home use. The battery allows for energy management and reduction of electricity consumption during peak times with the added benefit of emergency backup. Essential to the success of Active House Centennial Park is Great Gulf’s H+me Technology system, an advanced indoor automated manufacturing plant that allows roof, wall and floor assemblies to be built as integrated panels in a controlled environment. The H+me Technology facility is supported by construction visualization, prototyping and fabricating technologies that reduce environmental waste and increase energy performance through the manufacture of tight-fitting building components. A family will occupy the house to test drive it for six months to monitor its systems that include energy efficiency through movement, temperature and moisture in the environment. The family includes mom, Bethany (with an environmental background), dad, Russell, (Technical Manager for Building Industry at VELUX Canada) and three children, six-year-old Lucy, four-year-old, Eleanor, and 18-month-old Poppy. With his family, Russell will document the home’s energy-efficient features and how indoor climates affect us physically and mentally. His experience will be captured through a blog, short videos and social media channels all driven by the activehouse.ca website. 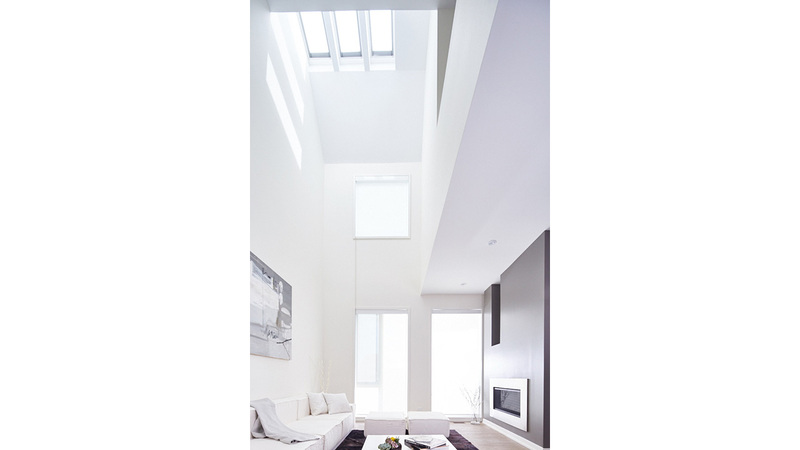 With support of a third-party research group made up of specialists dedicated to daylight, energy and indoor climate, Russell’s narrative will include a number of scientific experiments that will form the basis of quantitative analysis to help guide the monitoring and surveying process of the home to refine a design process for creating healthy spaces. The Active House concept was initiated in Denmark and evolved from the efforts of a European consortium comprised of various partners from academia, scientists, architects, engineers and building manufacturers. Working in Copenhagen, this alliance developed a concept that supports the development of energy-efficient buildings which focus exclusively on the well-being and comfort of the residents. “Denmark has set a bold strategy to be a carbon neutral economy, and has radically re-examined the way that our built environments can contribute to this. Concepts, or rather, ways of living, such as the Active House, show us that we can make significant reductions to our carbon footprint and reach our goal of sustainability without compromising design, economics or quality of life. We are excited to see Danish solutions applied in Canada,” said His Excellency Niels Boel Abrahamsen, Ambassador of Denmark to Canada. Now headquartered in Brussels, Active House Alliance is an international organization with a global platform of researching and promoting better living.